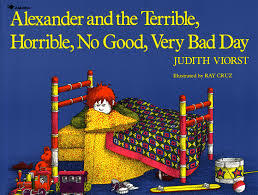 When I read they were making a live action version of Alexander and the Terrible, Horrible, No Good, Very Bad Day, I immediately had a warm and fuzzy memory of reading the darkly funny book to my son. 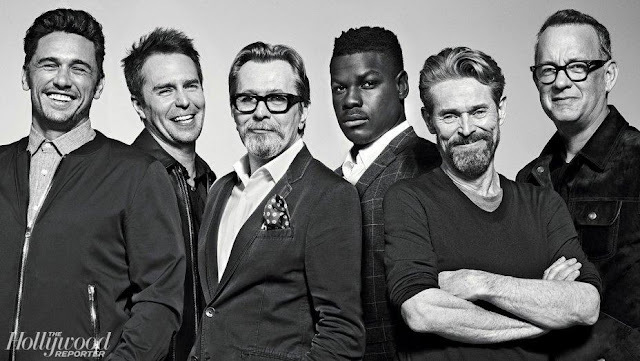 But when I mentioned to Russell they were making a film with Steve Carrell and Jennifer Garner as Alexander's parents; his face couldn't have looked blanker. I googled an image of the cover like I always do to post here - there it is on the left - and sitting right next to it was a shot of a page from the book. I clicked to enlarge the image so I could read the text. Hmmm. 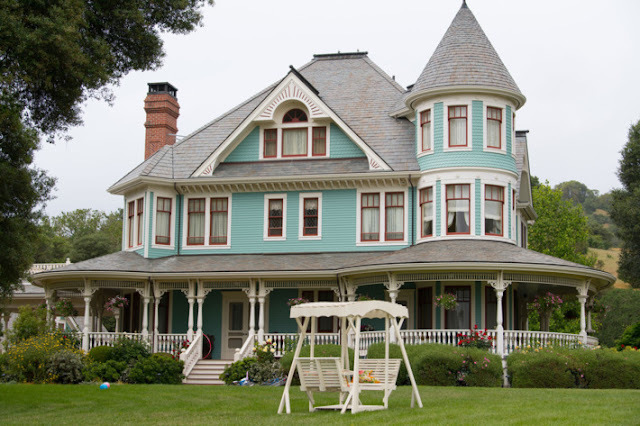 This didn't seem to be the story I remembered about a boy named Alexander who was angry and scared about having to move; this was about a boy named Alexander who was having, well, a terrible, horrible, no good, very bad day. Duh. So what was I thinking? I googled around a bit more and found it. 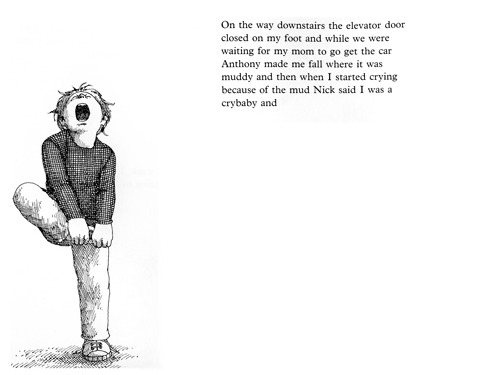 I'm sure you've figured out by now that I never read the original Alexander and the Terrible, Horrible, No Good, Very Bad Day to my son. Alexander, Who's Not (Do you hear me? I mean it!) 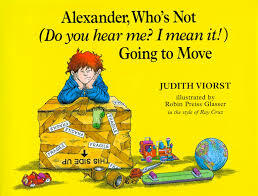 Going to Move, also by Judith Viorst. I was probably using it the way parents use The Berenstain Bears (do they still?) to help a child cope with a problem or teach a little life lesson. We must have been moving and I must have hoped the book would help. I showed Russell the cover and the page from the book. He squinted; dug deep into the memory bank. "The cover looks familiar. Maybe?" But I could tell he was just being kind; must be something in those Berenstain Bears books after all. Thanks to rarestkindofbest.com where I grabbed the page images. My kids adored this one when they were young. So glad you posted about it and started my morning with a smile.